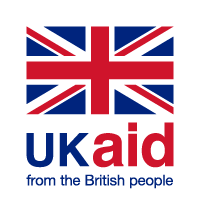 UK based UAVAid Ltd has been awarded a contract by the UK’s Department for International Development (DFID) to implement a pilot using the company’s Hansard V drone system to explore the use of UAVs in emergency response and other International Development situations. Potential operational applications include the delivery of critical aid packages, aerial mapping, anti-poaching surveillance, disaster assessment and vaccine delivery. The pilot, which is being supported by the award-winning Frontier Technology Livestreaming (FTL) programme, aims to show how UAVs can improve humanitarian access by flying over ground infrastructure constraints to provide access to hard-to-reach communities. The pilot is also testing the capability of a UAV to provide a livestream of aerial mapping and deliver payloads of up to 10kg across round-trip distances of up to 300km. The initiative will also test whether a multi-role UAV can be reconfigured in the field, which is particularly useful in addressing frequently changing priorities in crisis situations. UAVAid’s Hansard V drone was selected to carry out these tests due to its long range and multi-role capabilities. The trials are currently planned to take place in Spain and Malawi. The result of extensive research and development, the Hansard V is a unique, multi-role, drone designed specifically for humanitarian and development applications in remote and low infrastructure areas. It is capable of world leading 10kg cargo / 300km round trip cargo delivery, high-resolution mapping and live aerial video cameras – all at a price that is accessible for use in developing countries. Frontier Technology Livestreaming helps DFID apply frontier technologies to development challenges. Currently supporting 16 pilots, the programme explores how 3D printing, Internet of Things, drones and other Frontier Technologies can positively impact development challenges like connectivity, health and education, humanitarian response and production. FTL enables the rapid piloting, testing and refinement of new solutions live in DFID programmes and countries of operation, producing a stream of learning, insights and innovations – shared on the FTL medium page. The programme won the Civil Service Award for Innovation in November 2017.